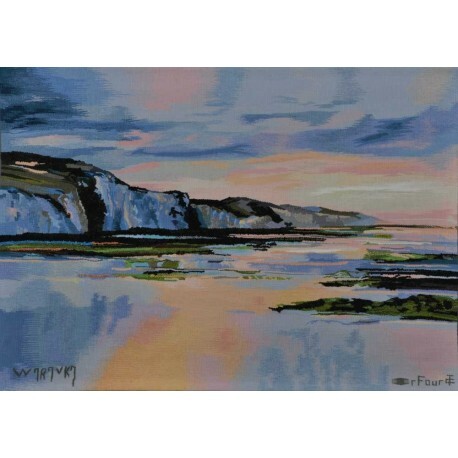 Sunset at Pourville: handcrafted Aubusson tapestry. 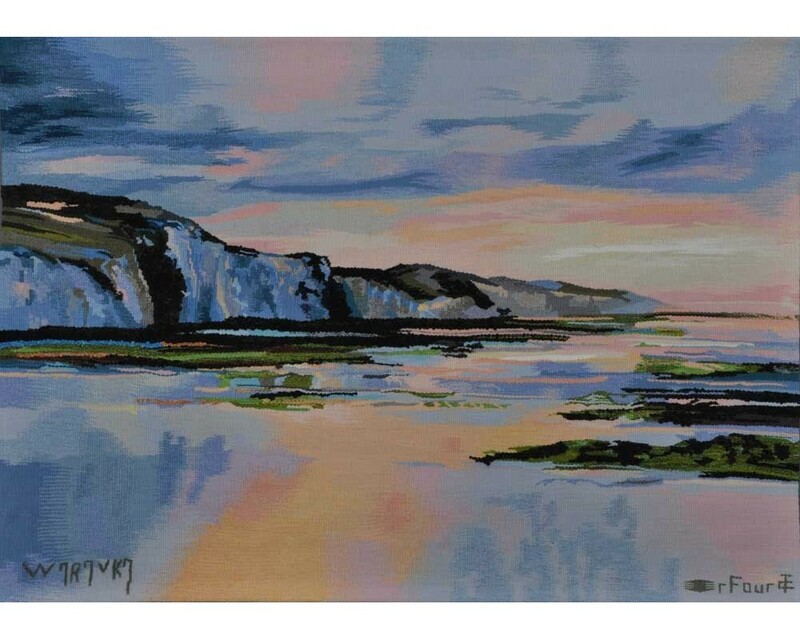 Manufacture Robert Four, at Aubusson (France), crafts contemporary tapestries inspired by Patrick Waravka's artworks. Tapestries are completely handmade, with the use of a full-scale cartoon from which the low-warp tapestry-weavers work. Only 8 pieces are crafted from the original artwork, though the diversity of techniques and the personal touch of each craftman make each tapestry a unique piece and a collective artwork from the collaboration of the artist and the carftmen who realize the cartoon, the dying and the weaving. In 2009, Aubusson Tapestry was inscribed on the Representative List of the Intangible Cultural Heritage of Humanity by UNESCO.